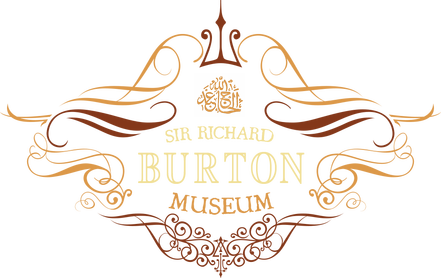 "This site intends to provide everything known to be written by Burton. Most of the major books are available in full, as are nearly 200 of Burton's journal articles and pamphlets, which are often very hard to find." "It is my aim, through this web site and other efforts, to lift Burton from his dusty niche and bring an understanding of the man and his full range of accomplishments to a present-day audience – to restore him to life, of a sort. Based on William Harrison's biographical novel this is the tale of one of the greatest adventures of the 19th Century, the search for the source of the Nile. Richard Burton (Patrick Bergin) leads two expeditions with John Hanning Speke (Iain Glen). The first ends in tragedy and both men are injured by tribesmen, the second takes over two years, culminates in the discovery of the source but also betrayal and death. A review from Amazon.com "This movie came out of nowhere in 1990 and completely enthralled me. So much so that I became deeply interested in the history of The Royal Geographical Society and Victorian explorer Burton. The writing, acting, beautiful cinematography and music make it one of the greatest "should have been" movies I've seen." Trailer for "Mountains of the Moon"
The full film "Mountains of the Moon"
The Nile's source was the last great mystery for European explorers in the 19th century. The story of its discovery is one of heroism, betrayal, greed and obsession. This ground breaking mini-series features Sir Richard Burton, John Hanning Speke, Dr Livingstone, Henry Stanley and Samuel Baker. The narration was by James Mason. Each episode is around 1 hour long. Highly recommended, although some of the footage and sound isn't of the best quality. Review from IMDb.com "This is the first mini-series in my memory, and perhaps one of the greatest ever. Two men compete to be the first European to find the source of the Nile River. In the early 1970's one would never have imagined such a conquest to be so challenging and epic. The music, the settings, the acting, and the direction are all so brilliant, this tv movie easily holds the same place in my memory as "Lawrence of Arabia."